When parents face conflict with one another, children are affected. This publication outlines child behaviors and their purpose, as children are in the midst of interparental conflict and after the conflict has occurred. This is No. 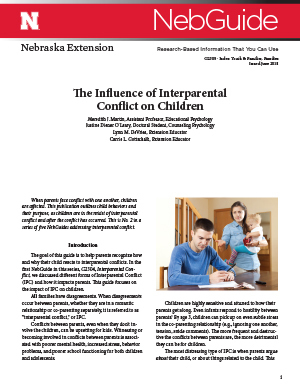 2 in a series of five NebGuides addressing interparental conflict.